It might have been Earth. A white sun hung in a blue sky flecked with clouds, which were racing before a storm... And far, far away on the horizon was something that was not of Earth - a line of misty columns, tapering slightly as they soared out of the sea and lost themselves among the cloudsl. They were spaced with perfect precision along the rim of the planet - too huge to be artificial, yet too regular to be natural. 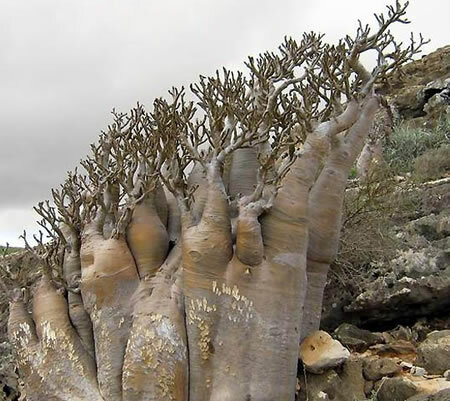 So, how about a trip to Socotra Island? Geographically isolated from mainland Africa for at least 6 million years, it has hundreds of rare species seen no where else on Earth, not to mention having extreme geological features. 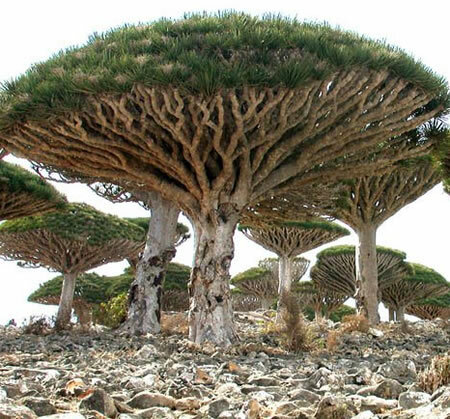 Consider the strange dracena cinnibaris or Dragon's Blood Tree, used as a source of rare resin. Consider the Desert Rose (adenium obesium), as strange a plant as you'll see. What's your idea of an alien location? And thanks to Dark Roasted Blend for a great article idea.